Rent is one of the highest costs of attending school—perhaps second only to tuition. Unfortunately, that high cost often comes with other problems, such as absentee landlords, substandard living conditions and issues with recuperating damage deposits. 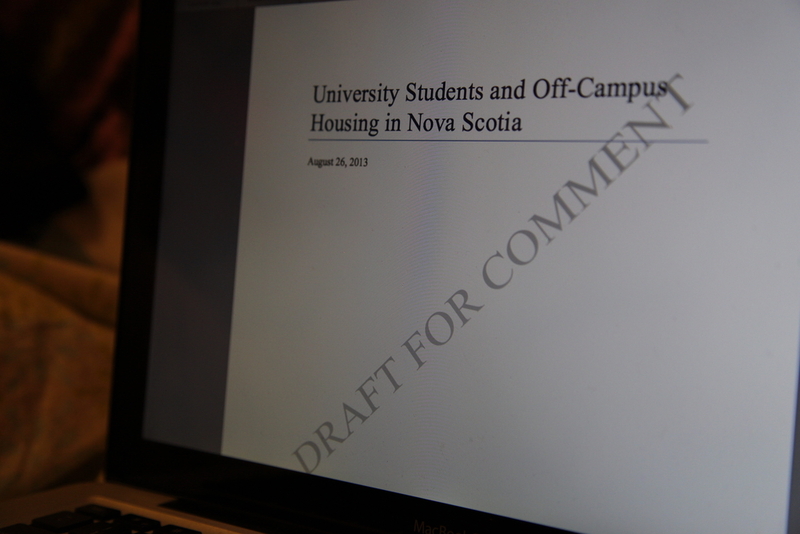 StudentsNS (SNS) is finalizing their report on off-campus student housing, to be published by early February. The provincial lobbying group have been researching and drafting the report since May 2013, exploring off-campus housing needs and identifying possible solutions for the rent challenges faced by students. “It can have a very significant impact on your quality of life. If you can’t live close to campus because you can’t afford it, then you spend a long time in transit. If you live in a space that is moldy then you won’t be very healthy, and not as happy or ready to learn,” says Jonathan Williams, executive director of SNS. “Students need to be able to access housing they can afford, and those housing options should be available on-campus; if not, then off-campus,” he adds. The report recommends, among other things, that student housing increase up to 50 per cent, damage deposits be centrally collected by the provincial government and for student loans to be adjusted so those receiving them can afford to live in residence. Although SNS is an official lobby organization for the Dalhousie Student Union (DSU), it does not mean the report represents DSU policy. While they agree that changes must be made to improve student housing, such as getting the provincial government to implement rent control, the problem at hand needs a bigger solution than the steps the report takes, according to Aaron Beale, DSU VP academic and external. “In general, in student neighbourhoods or cities, rent is considerably higher, and students get taken advantage of,” says Beale. During their Jan. 29 council meeting, the DSU discussed and decided to abstain from voting on the report.